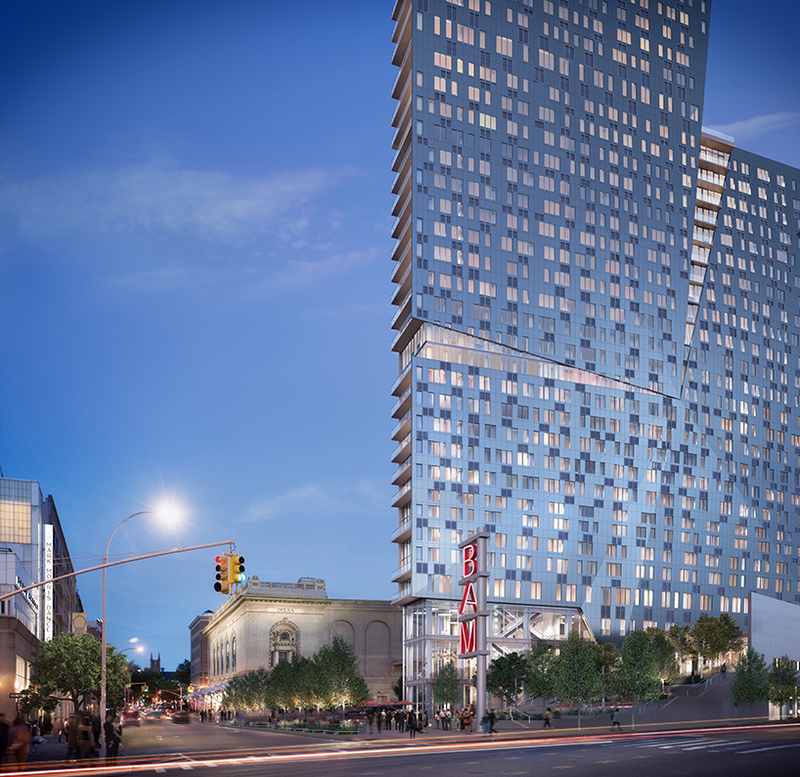 mexican architect enrique norten of ten arquitectos has presented plans for a mixed-use rental building to be constructed in brooklyn’s fort greene neighborhood. 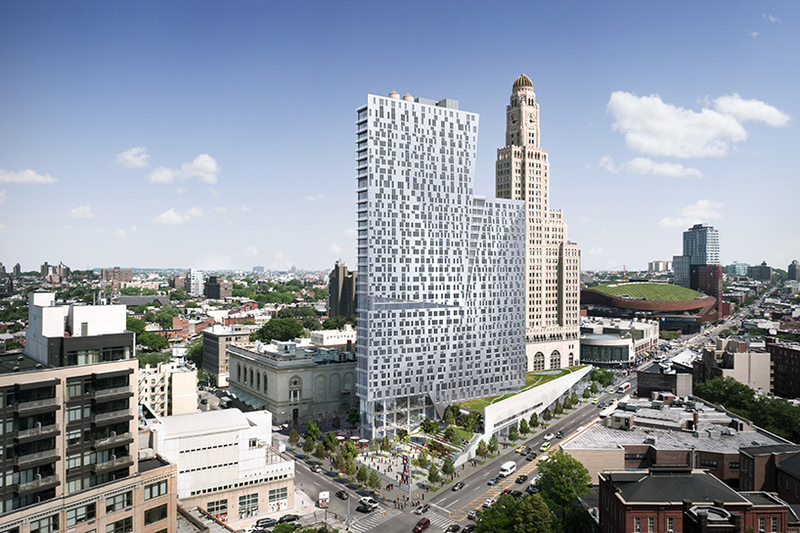 named ‘300 ashland’, the new york development is located to south of the brooklyn academy of music and the williamsburgh savings bank, in close proximity to barclays center — the indoor arena designed by SHoP architects. 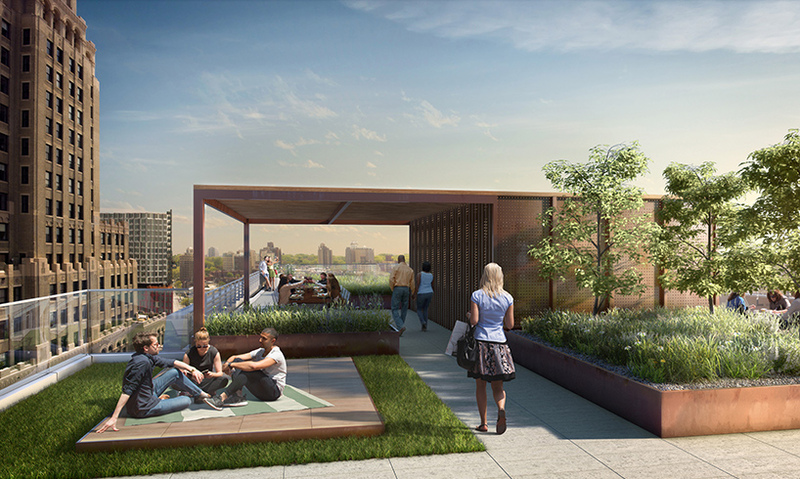 backed by developer two trees management, leasing is now underway, with potential residents able to choose between studio, 1-bedroom, and 2-bedroom units. 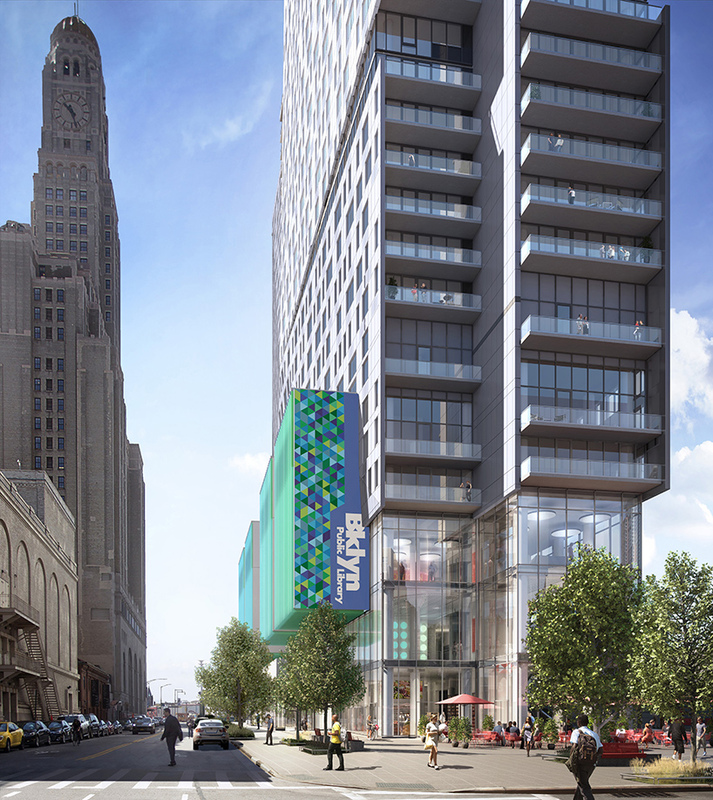 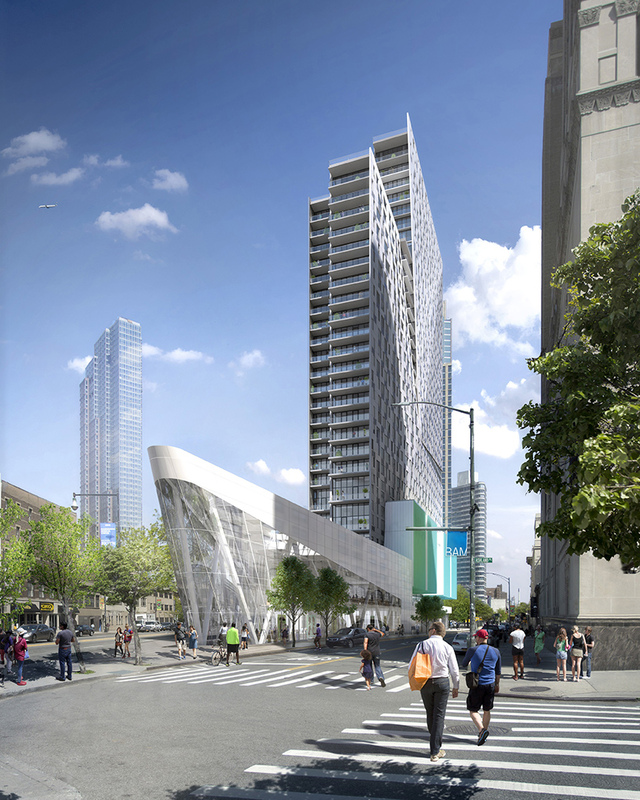 300 ashland includes 379 apartments with 76 units set aside as below-market rentals. 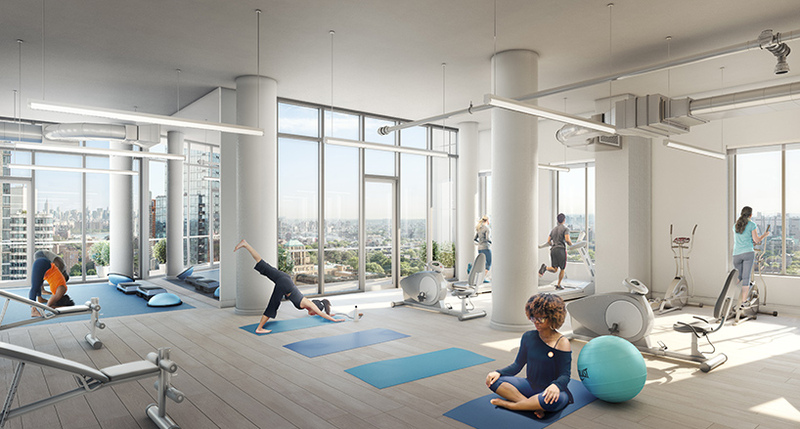 the 32-story building features a 24-hour front desk concierge, a 24-hour gym, a 29th floor outdoor roof deck designed by james corner field operations, a parking garage, and keyless electronic access. 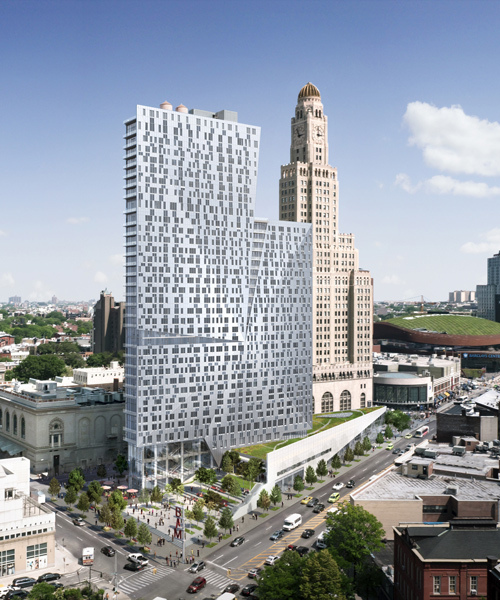 the building is anchored by 50,000 square feet of cultural amenities including; BAM cinemas, 651 ARTS dance studios and a brooklyn public library space. 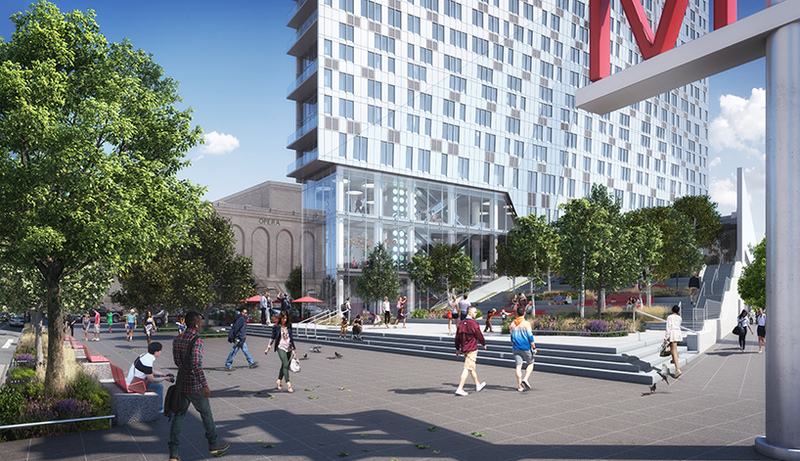 43,000 square feet of retail is included along flatbush ave., flanked by a new 10,000-square-foot plaza designed by landscape architect grain collective. 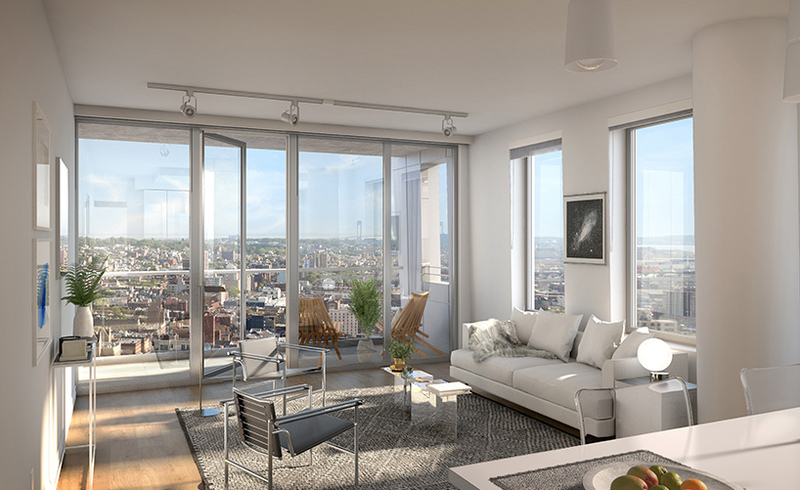 residences include white hardwood oak floors, in-unit washer/dryers, caesarstone and stainless steel countertops, and energy star & bosch appliances. 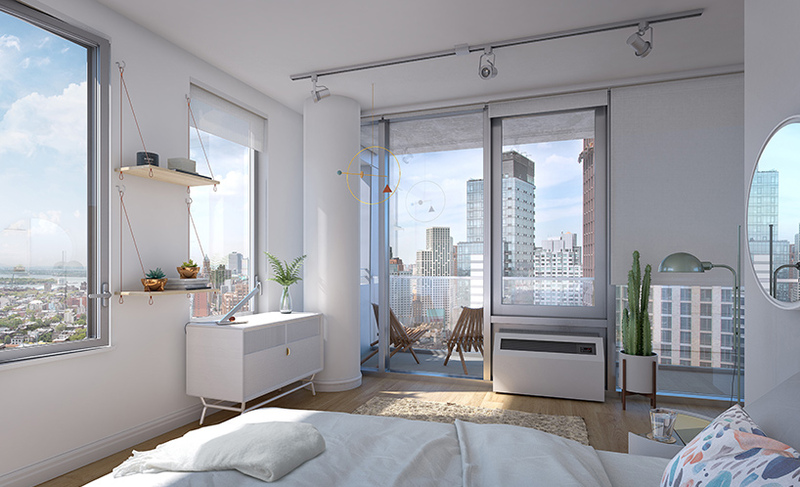 pricing for a studio apartment starts at $2,800 USD, with 2-bedroom units with two bathrooms begin at $5,750. 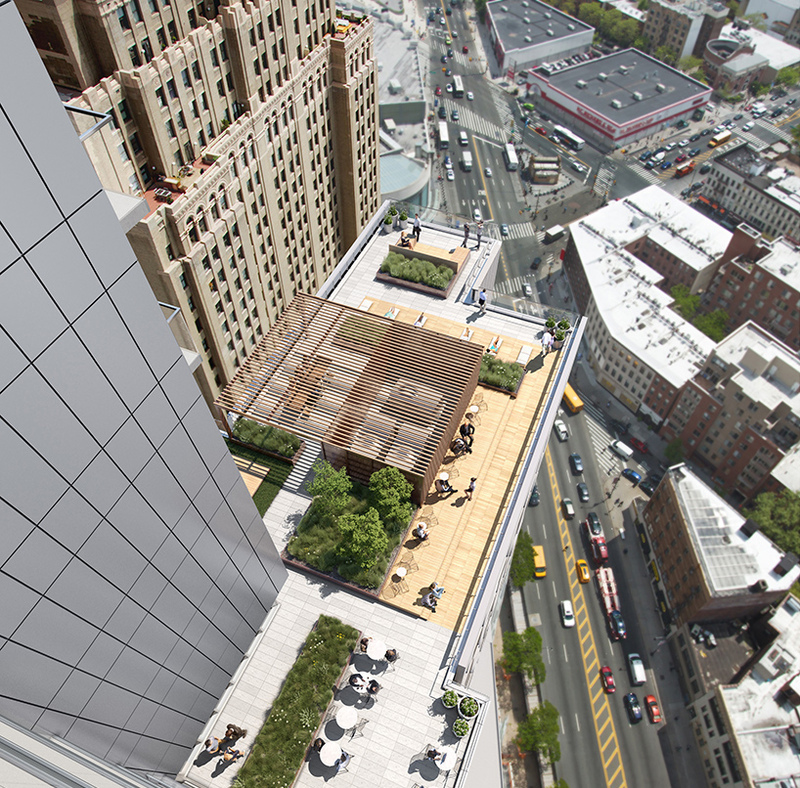 see photos of the project’s interiors in the gallery at the bottom of the page.